Don and Lorraine Karsgaard are missionaries with Mexican Medical Ministries (USA). Over the years Don and Lorraine have lived in San Diego, CA; Kelowna, Vancouver, Rossland and Trail, B.C. ; Calgary, Alberta; and also in Chicago, Illinois. In addition to serving the Lord in these communities, they have also been involved in missionary endeavors in Western and Eastern Europe. Don has been a Youth Worker, and was also a Pastor for a number of years. Don was also in the Sales and Management field for 15 years, taught Law at the O.U.C. University in Kelowna, and has now spent over 20 years in missions, with responsibilities reaching to Western and Eastern Europe, and more recently to Mexico. Don began his tenure with Mexican Medical Inc. in 1998 as Administrator and Director of Development; and in his first year established Mexican Medical Ministries in Canada. Don continued for several years assisting and organizing the home office of Mexican Medical in San Diego; in addition to managing the operations and activities of Healing & Hope International in Canada. Lorraine also has had extensive experience in office administration and secretarial services, and for several years served in the Mexican Medical office in San Diego as well. 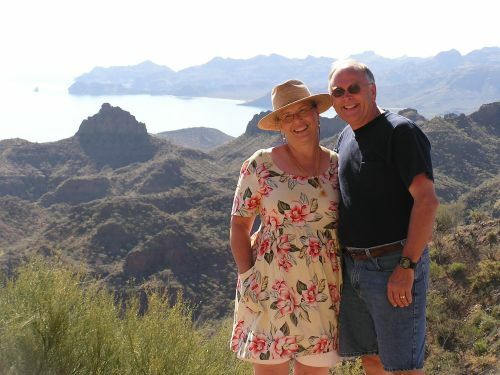 Today, Don and Lorraine are Area Missionaries in Loreto, Baja California Sur, Mexico; and they are always looking for individuals and teams, from Churches and Schools, to join with them in Mexico and help them with the practical and evangelistic outreach ministries they operate in coordination with the local Mexican Churches in and around Loreto. Each month, October through May, Don and Lorraine hold evangelistic Community Health Fairs somewhere in Baja California Sur – particularly using Mexican doctors and dentists, but needing medical and non-medical helpers to assist in a variety of ways.